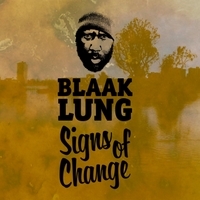 Blaak Lung, located in Oakland, CA has released “Signs of Change,” an album for the people. You can see this by listening to the song entitled,“Sign of Change.” Blaak Lung speaks of nature, family and self-reflection. Blaak Lung has worked with Soul Rebel, Andrew Tosh, Mikey Dread and more. He offers a classic reggae-dub sounds that relax, help to reflect and educate us all to look to the future. Check out more about Blaak Lung, past music as well as events coming up at: http://www.blaaklung.com. Next The 6th Annual One Love One Heart Festival a Success!